Samsung Galaxy Note 8 was up for pre-orders in several global markets with the handset set to launch on September 15th. According to a new report, Samsung has received record pre-orders of the Galaxy Note 8 in the United States, named as the most-reserved smartphone in the Galaxy Note range. It was revealed earlier this week that the handset received over 400,000 pre-orders in the company’s home country. As for the United States, the exact numbers weren’t revealed by the company itself. Event in India, over 250000 people showed interest in purchasing the handset once it officially hits retail stores in the country. 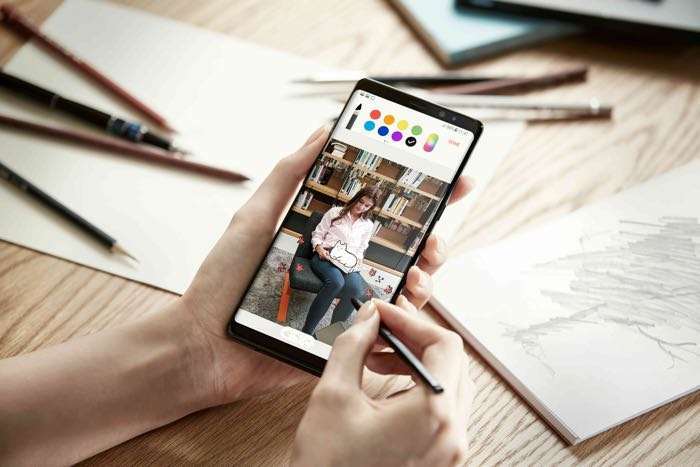 Samsung Galaxy Note 8 features a 6.3-inch display sporting a resolution of 2960 by 1440 pixels, an Exynos 8995 processor paired with 6GB of RAM and 64GB of internal storage. The device also comes with a dual 12MP camera for photos and videos, a 3,300 MAh battery, and Android 7.1.1 Nougat as its operating system. We’ll update you if the company releases an official sales figure for the handset in the United States.